Vancouver based artist, Krystle Dos Santos, has released her sophomore album Femme Fatale, and wants YOU to win a signed copy! Krystle is a Western Canada Music Award winner and fashion enthusiast. Her newest music video, Remember, features Dos Santos in a hand-painted gown by Edmonton designer Jessica Halabi and looks from Vancouver label, Obakki, which can be found at Edmonton's Coup Garment Boutique. That's not the only Edmonton connection though. Our very own Caroline Gault, Alberta Reporter for FASHION Magazine, produced the video for Remember. "...collaboration was a huge part of creating this video," says Dos Santos. "There's so much overlap with music and fashion. I'm so excited to promote local artists, filmmakers, writers, bloggers and designers through my music and vice versa." That's an attitude I can get behind. Krystle will be in Edmonton performing for two nights at the NOLA Creole Supper Club on Friday, November 25th and Saturday, November 26th. Don't miss the chance to see this vocal powerhouse. Win both of Krystle Dos Santos' albums, (signed by her!) 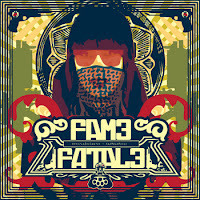 including her newest, Femme Fatale, which features The Shangri-La's cover, Remember. 1. "Like" Dress Me Dearly on Facebook. 2. Leave a comment on this post saying why you want to win and your contact info. 3. 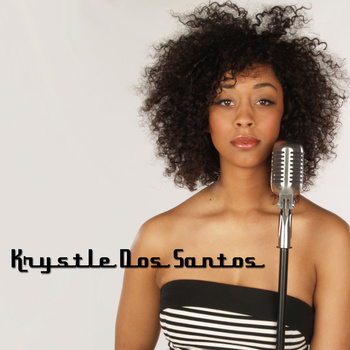 "Like" Krystle Dos Santos on Facebook. 4. For extra entries, tweet, facebook or blog about this contest. (one extra entry for each). Please note this in your comment below. The fine print: Contest closes Monday, October 17th, 2011 at midnight. Winner is chosen by random number generator. Wow that video was awesome. I'll be sure to pass this contest on.